Winterhaven Book Fair is Coming!! Get your winter reading and holiday gift lists ready and mark your calendars for the PTSA Book Fair! We’ll be in the Library December 4th through the 8th , from 8:30am to 3:30 pm every day. On Wednesday 12/6 we will stay open until 7:30 pm! Once again, Wallace Books is our supplier and your purchases help support the Library with 12% of our total sales being credited toward future library book purchases. Many of your kids teachers have submitted their wish lists for books for their classrooms - you will find these lists and books at the book fair. This is a great way to give back to our teachers and support the library at the same time! Come check out this season’s newest selections! More volunteers are needed to staff the Book Fair throughout the week. Please contact Kristin Doherty kristinwdoherty@yahoo.com if you are interested. Counselor’s Corner - Hey everyone, Here’s what’s happening in counseling this week. Please remember to gently process conferences with your students. Some are pretty worried about them, especially middle schoolers who have to lead the whole meeting. Talking through that anxiety and maybe sharing a time you had your own nervousness around being graded or reviewed can be helpful. 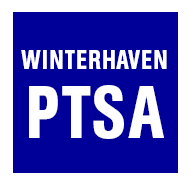 PTSA Community Meeting November 13 CANCELLED. Science Fair Kick-off Events - Winterhaven’s signature event, the all school science fair takes place on January 25th! Middle school kids have already started working on designing their projects in the classroom and elementary school families will receive information from teachers over the next few weeks. The PTSA is sponsoring two events where science fair coordinator Jennifer Schramm will discuss science fair logistics and expectations. The Elementary School Kick-off (K-4) will take place on Tuesday, Nov 14th, 6:30-7:30 pm and will focus on ways to encourage your student to participate in the inquiry process. The Middle School Kick-off (5-8) will take place on Thursday, Nov 16th from 6:30-7:30 pm and will focus on the more competitive judging aspect of the science fair and former Winterhaven student Adam Nayak will do a short presentation on his experiences with science fair. Both events take place in the auditorium and childcare will be available in the library. Questions? Contact Jen Schramm at the new Science Fair email address: sciencefair@winterhavenschool.org. Lost and Found – Has your child lost an article of clothing or something from their lunch box here at school? If so, then we encourage you to visit our Lost and Found cart! It is overflowing and we need it emptied. The cart will be located by the main entrance during Parent/Teacher conferences, so please be sure to check it out. UPDATE: Any items remaining in the Lost & Found after conferences end will be washed and taken to the PPS/PTA Clothing Center on Monday, November 13. Winter Coats Needed - The PPS/PTA Clothing Center is in dire need of teen and adult sized jackets, hats and gloves, and *new* adult sized socks. I will be putting out a bin next to the Lost & Found during conferences to collect any donations to take out there next week along with the remains of the Lost & Found. It's projected to be a cold winter, and right now they only have a few jackets on their shelves. Please help if you can! Weekly Information must be submitted by the end of the work day on the Tuesday before you wish to have it included in the newsletter. We only publish information that directly relates to our school and our students. If you wish to place something in the weekly, please email it to Nancy Cooper at ncooper1@pps.net.